Our goal is to connect people with the best local experts. 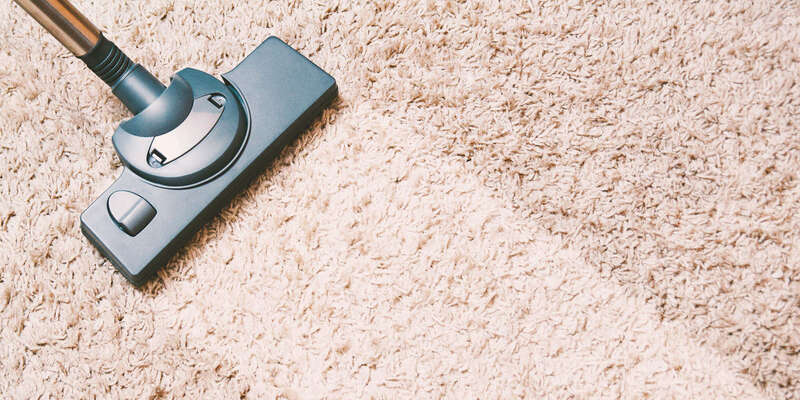 We scored carpet cleaners on more than 25 variables across five categories, and analysed the results to give you a hand-picked list of the best carpet cleaners in North Hollywood, CA. Carpet Cleaning North Hollywood is a cleaning service located in North Hollywood, California, and serving the surrounding areas. Their staff of technicians has years of experience cleaning carpets, curtains, sofas, mattresses, upholstery, and a variety of different types of rugs. They can perform deep cleanings as well as spot cleanings and stain removals. The staff is also trained to perform water damage restoration and to drain water after a flood has occurred. They are committed to educating their clients on how to maintain their carpets and increase the longevity of their floors, furniture, and other materials inside their home or business. ESM Maintenace Service provides exceptional cleaning service to homes and businesses throughout the Los Angeles area for nearly 30 years. They take pride in their work and thrive on providing complete customer satisfaction. ESM Maintenance is comitted to superior reliability and trust and a unique dedication to their customers' needs. There is owner involvement in every single account. Their professional cleaning staff speak both Spanish and English and have an excellent knowledge of all cleaning products and methods. ESM Maintenence Service will also provide all of the cleaning supplies needed to expertly clean any home, office, or business. They have an impeccable reputation for quality and dependability. In business for over 20 years, Grand Champ Carpet Cleaning serves the Loss Angeles and San Fernando Valley areas with carpet cleaning performed by certified technicians equipped with powerful truck-mounted machines. Residential and commercial customers alike appreciate the company’s use of biodegradable products that are safe for families, pets, and the environment. Grand Champ also uses their deep steam cleaning treatments for tile and grout and upholstery, with results bring them to like-new condition. Other services available from the company include leather cleaning, window washing, wood restoration, restoration following water damage, painting, wood staining, and whole-house cleaning. Located in Los Angeles, California, Niagara Carpet Cleaning Services has provided advanced carpet cleaning techniques to the San Fernando Valley for the last four decades. Their company is one of the few in Los Angeles large enough to offer full-service plant cleaning, and they pride themselves on their experience in the cleaning field. They are members of the American Society of Interior Designers, the Institute of Inspection Cleaning and Restoration, and the World Floor Covering Association. They offer both wet and dry cleaning for both area rugs and oriental rugs. They also clean draperies, upholstered furniture, and wall fabrics. Power Steam Carpet Cleaners is a North Hollywood cleaning service that has been providing excellent work to residential and commercial customers since 2008. This family-owned operation is proud to offer services at reasonable rates, making them a popular choice within the community. Power Steam Carpet Cleaners can clean carpets, rugs, upholstery, tile, air ducts, and more. Only the best equipment and products are used by Power Steam, helping to create many a happy customer over the years. A free estimate gets the process started and it ends with nothing short of total satisfaction. Emergency service for fire or flooding is also available. So White Carpet Cleaning LLC in Los Angeles has over 15 years of experience serving commercial and residential customers in the Greater Los Angeles area. They clean carpets, mattresses, and rugs, remove pet odors, and also perform tile and grout cleaning and water extraction. All of their products are biodegradable which makes them family and pet-friendly, and they work with both portable and truck-mounted cleaning equipment so that they can gain access to any carpet. Their technicians operate seven days a week, and their offices are open from seven am to seven pm Monday to Friday, and nine am to twelve pm on Saturday and Sunday. Reviews speak of a business that is professional, courteous, and efficient, uses modern top-of-the-line equipment, and offers great service at an affordable price. Sun Valley Carpet Cleaning Pros is a local carpet cleaning company. Clients hire the group for the latest carpet cleaning methods to remove dirt, stains, odors, dust mites, and other contaminants including pet stains and odors for fresh, healthy environments in their homes, offices, businesses, and cars. Crews can also clean tile and grout, clean and inspect air ducts, handle fire and water damage restoration, eliminate mold and mildew, and clean upholstery as well. The team is known for 24-hour emergency service, fast response times, honest communication, and affordable rates with no hidden fees and uses all eco-friendly products that are safe for kids and pets. Sun Valley Carpet Cleaning Pros boasts hundreds of happy clients and features same-day, weekend, and evening appointments. Tarzana Carpet Cleaners is a licensed, bonded, and insured contractor in North Hollywood that offers a 100 percent satisfaction guarantee. The company restores the glamor and function of floor fabrics, including Oriental and Persian rugs, and it has the know-how to remove dust mites, pet dander, pollen, and other particulates embedded in the fibers. The establishment uses state-of-the-art tools and safe supplies to deliver exceptional results without harming humans and their pets, and it accommodates residential and commercial projects of any scope. Tarzana Carpet Cleaners is a member of the United States Association of Accredited Business, and it enjoys five-star ratings and rave reviews from former and current clients. The shop has one-time and regular servicing options, and it can perform after-hours work.